Sanitary butterfly valve, also called hygienic butterfly valve, is a type of flow control device. It is used to make a fluid start or stop flowing through a section of pipe. 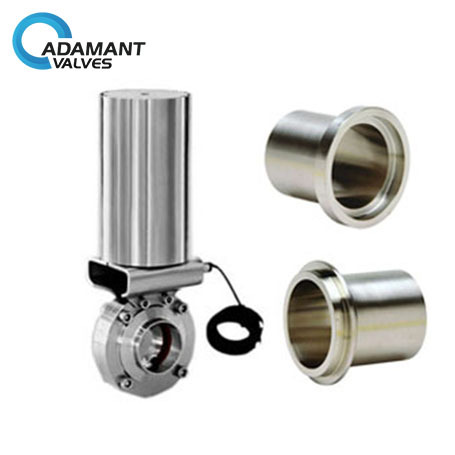 AV-1 series stainless steel sanitary butterfly valve, sanitary fittings are high-quality products. They can be used for dairy, pharmaceutical, beer, beverage, edible oil, and other industries to meet their professional requirements. 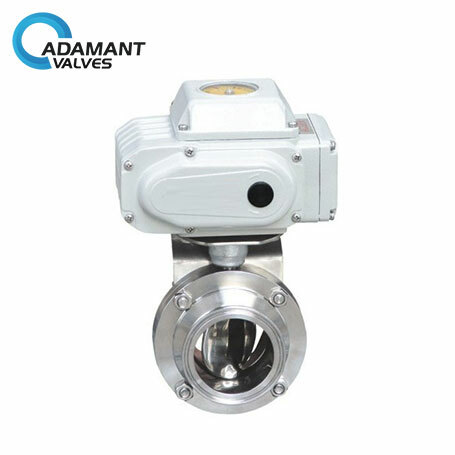 Adamant valves can provide valve body and disc materials such as AISI 304 or AISI 316L, 304L and 316 materials, automated or manual operation valve according to your requests.